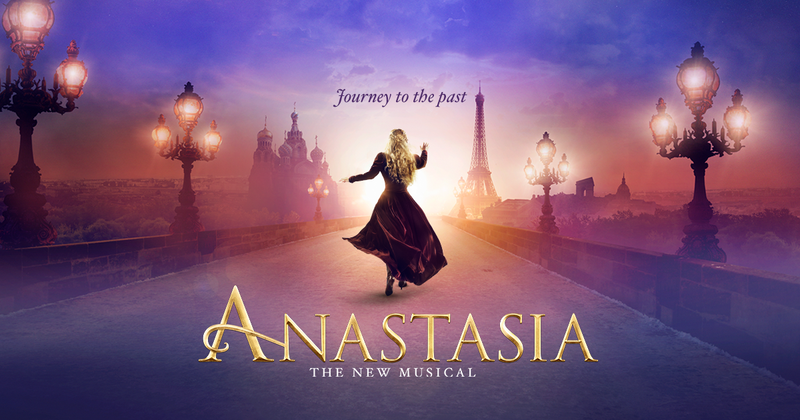 The stage adaptation of Fox’s beloved 1997 film Anastasia opened on Broadway on April 24, 2017 to a slew of sold out performances and rave reviews. 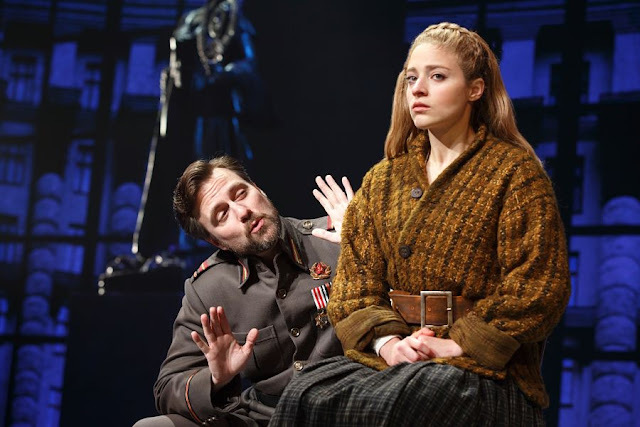 Previews had been running since January, but before the show hit the streets of New York, it had a short run at Hartford Stage in Connecticut to test the changes. The biggest change was the decision to ground the show in realism and take out the mystical characterization of Rasputin. In his place is a Bolshevik officer, Gleb. Without the fantastical elements, Gleb is a common villain, with an interesting arc that’s more impactful than a manic curse and a talking bat. However, like Rasputin, he is focused on something akin to revenge and, perhaps to a greater degree, eliminating the past. The main storyline, that of Anya and her journey to rediscover her past, remains the same at its core: an orphaned young woman with amnesia who is looking for someone in Paris and who is swept up in a masquerade pretending to be the real Anastasia. While songs have been tweaked and new ones added, the ones specifically written for Gleb tell the other side of the Romanov story. Hartford’s Gleb, Manoel Felciano, looks very much like a Russian version of Les Mis’s Javert, and the character holds a similar role. Gleb’s father was a part of the firing squad that was in charge of disposing of the Romanovs ten years prior. The role falls now to Gleb as rumors swirl that Anastasia is alive and headed to Paris. It’s an eerie parallel as he encounters Anya, warns her later about her scheme, and then follows her across country borders in order to intervene just before the press conference that could change history. Through one majorly defining song, “Still”, and the twisting of another (“The Neva Flows”), Gleb’s heart and soul are bared to the audience. He finds himself at war between his duty and manliness and his heart. In his brief interactions with Anya, he paints her both as a trembling flower in need of protection and a deceptive manipulator. It’s a dichotomy found in many villains: their newfound love for the lead tries to overpower their end goal (usually destruction or death). Gleb remembers watching his father leave, seeing the Romanov children being ushered into Yekaterinburg, and hearing the world go silent for a moment. His story is very much about becoming a man, especially in relation to what his father could (or couldn’t) do. He takes on the task his father couldn’t complete in hopes that it will complete him. His arc is dependent on other people. Anya, having found her place in Paris, stands before Gleb and his pistol and defiantly says, “Finish it. I am my father’s daughter.” Because she remembers the horrors and now shoves them toward Gleb in a reprise of his song. “And I am my father’s son!” Gleb barks back. “Finish it I must.” His pistol is cocked but it does not go off. On stage, we see him falter, drop his arm, and leave. To those listening solely to the musical album, the show takes a slightly more ambiguous ending, as the listener is immediately transported to the finale. 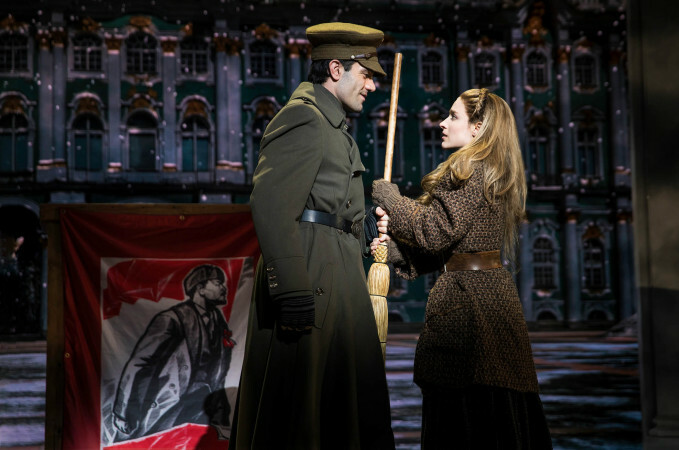 The finale draws two pictures: the Dowager Empress in Paris and Gleb, now back in Russia, both announce that Anastasia was a dream, a fantastical story that is finished now. Fans of the story know that Anya decides to stay with Dmitri, but while Rasputin is defeated and destroyed, Gleb lives on. However, the ambiguity allows for the true history to have a moment. Anastasia Romanov died in Yekaterinburg in 1918 with her family, the end of a monarchy and the beginning of a new era. But still, for years after her death, the hope remained that someone survived (until conclusive DNA testing on discovered remains found the two missing children, Alexei and either Anastasia or Maria). What do you think of Anastasia's changes from film to stage?